Here is a measure of how well established the Naramata Bench is as a premier wine region in the Okanagan: Kettle Valley Winery is celebrating its 20th anniversary of winemaking this year by the same owners, Bob Ferguson and Tim Watts. There are two older wineries on the bench, Hillside Estate Winery and Lang Vineyards. Both opened in 1990 and both have been through several ownership changes. Since those three wineries opened, the Naramata Bench has blossomed. There are now about 25 wineries. The exact count depends on the final outcome of the bankruptcy of the six Holman-Lang wineries. At least two of those – Lang Vineyards and Stonehill – are in the hands of new owners. The other wineries on the Bench seem to doing well. At least, that is the conclusion that I would draw from tasting their wines, either at the recent Naramata Bench Wineries tasting in Vancouver or at other recent opportunities. There are still a few wineries I have missed, an indication of just how many there are. The wineries here have succeeded in branding their region, to the point that some have discussed created a Naramata sub-appellation. Naramata is a strong name to have on a wine’s label. Recognizing this, Nichol Vineyards is not waiting for the sub-appellation. Its current releases all proclaim that the wines are “Naramata Village Grown.” The winery is one of several actually within the limits of the village. The brand is working because, with few exceptions, the wines are good to outstanding. As unfortunate as the Holman-Lang bankruptcy was, at least it has taken some less-accomplished Naramata Bench wines off the market to the benefit of the remaining wines. Here are notes on Naramata Bench wines that have impressed me this spring. Black Widow Winery 2010 Pinot Gris ($19.90). Crisp and refreshing, with a slight pink hue, this has flavours of apple and rhubarb and has a tangy finish. 90. Black Widow 2010 Oasis ($19.90). This is a delicious blend of Schönburger, Gewürztraminer and Pinot Gris. The flavours are spicy grapefruit and apple, with a juicy texture and a lingering, dry finish. 90. Black Widow 2010 Syrah Rosé ($21.90). This dry rosé, with an intense hue, takes you to the south of France, with aromas and flavours of pomegranate and strawberry. It is full-bodied for a rosé. 90. Black Widow 2009 Merlot ($27.90). With a production of only 175 cases, this is the winery’s first single varietal Merlot. Firm in texture and built to cellar for several years, this is a generous wine with flavours of figs, black currants and chocolate. 90. Black Widow 2009 Syrah ($31.90). This is a plush, ripe Syrah, with aromas and flavours of plum, black cherry and spice and with an appealing note of red liquorice on the lingering finish. 91. Black Widow 2008 Hourglass ($35.90). The winery’s flagship red, it is a blend of 95% Merlot, 5% Cabernet Sauvignon. It has spent 21 months in barrels, mostly French oak. It is a deep, rich red with flavours of blackberry, black currants and figs; and the structure to age well and develop further complexity. 90. La Frenz Winery 2010 Sauvignon Blanc ($22). This stands up nicely against many New Zealand Sauvignon Blancs. The wine is zesty and refreshing with aromas and flavours of grapefruit and lime. 90. La Frenz 2010 Sémillon ($20). Fresh and tangy, this wine has aromas and flavour of gooseberry and grapefruit and has the potential to become fleshy and complex with age (as if it won’t be consumed by the end of summer, alas). 90. La Frenz 2010 Riesling ($20). Here is a beautifully balanced wine, with a touch of natural sweetness offsetting the acidity so that the finish comes across as dry. There are aromas of citrus fruits and flavours of lime and apples. 90. La Frenz 2010 Alexandria ($20). This is an excellent Muscat-based blend, packed with juicy tropical fruit flavours including lychee, musk melon and spice. There is a touch of residual sweetness. This is one of the best summertime whites you can buy. 90. La Frenz 2009 Reserve Chardonnay ($29). This is barrel-fermented in new French oak but the fruit flavours – tangerine, peach – are so intense that the oak becomes just the toasty frame for a very complex wine. It has a lingering finish, with an appealing note of cloves. 91. 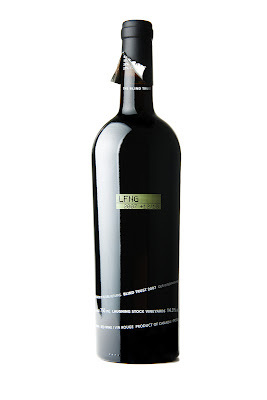 La Frenz 2009 Merlot ($25). The winery consistently makes intense Merlot, with cassis, blueberry, plum and spice flavours. The texture is full and satisfying and the finish is long. 90. Hillside Estate Winery 2009 Pinot Gris Un-oaked ($19.99). This is a juicy and refreshing white with the variety’s classic flavours of pear and ripe apples. 88. Hillside 2008 Pinot Gris Reserve ($19.99). The winery tweaked the variety by fermenting and aging a portion of this wine in barrel. This is an elegant and structured wine with melon, pear and citrus flavours. 89. Hillside 2009 Gewürztraminer ($18.99). This has characteristic aromas and flavours of lychee, grapefruit and spice, with a touch of balanced sweetness. 89. Hillside 2010 Muscat Ottonel ($19.99). This is the winery’s signature white, with floral aromas and with delicately spiced fruit flavours. 89. Hillside 2007 Mosaic ($36.99). This is the winery’s flagship red, a blend of Merlot, Cabernet Franc, Cabernet Sauvignon, Malbec and Petit Verdot. The style is ripe Bordeaux, with flavours of black currants and cedar. The wine is elegant and age-worthy. 90. Hillside 2009 Malbec-Merlot ($N.A.). This was a barrel sample of a very promising red, with blueberry aromas, with cherry and plum flavours and with a chewy ripe texture. 91. Howling Bluff Winery 2010 Sauvignon Blanc Sémillon ($19) is a delicious white, with aromas of grapefruit and clover honey. The grapefruit is echoed on the rich palate; and the wine is crisp and tangy on the finish. 90. Howling Bluff Summa Quies Pinot Noir 2009 ($32). This wine begins with glorious aromas of strawberries. Big and fleshy on the palate, yet with the classic silky texture emerging, this seductive wine has flavours of cherry and strawberry that linger and linger. 92. Kettle Valley 2009 Gewürztraminer ($18). This wine leaps from the glass with a dramatic aroma of spice and grapefruit, repeating that power on the palate. The finish is dry. 90. Kettle Valley 2009 Viognier ($24). Full-bodied and satisfying, this wine has flavours of apricot, pineapple and citrus. 90. Kettle Valley 2009 Chardonnay ($18). This is a fruit-forward Chardonnay, with flavours of peach and tangerine and with a refreshing, tangy finish. 88. Kettle Valley 2007 Pinot Noir Reserve ($35). A full-bodied expression of the variety, this wine has aromas of raspberry and spice, with flavours of cherry and raspberry. 89. Kettle Valley 2007 Merlot ($24). This is a brooding, intense expression of the variety, with flavours of black currants. 88. Kettle Valley 2007 McGraw Merlot ($35). The winery’s premium single vineyard Merlot, this elegant wine tastes of currants and blackberries. The structure is firm and muscular and built to age. Kettle Valley 2007 Syrah ($35). Here is a bold, meaty Rhone-style wine with flavours of plum and chocolate and with pepper in both the aroma and the finish. 89. Kettle Valley 2007 Barber Cabernet Sauvignon ($35). This is a big, ripe Cabernet, with aromas of red berries and mint and with flavours of cassis, vanilla and tobacco. The wine is built for aging. 91. Kettle Valley 2007 Old Main Red ($35). This is the winery’s flagship Bordeaux blend; a big, complex red with chewy, ripe tannins and with flavours of plum, cassis, chocolate and tobacco. 91. Laughing Stock Vineyards 2010 Pinot Gris ($20). A delicious unoaked Pinot Gris, this is full and juicy on the palate, with flavours of pear, apple and grapefruit. 91. Laughing Stock 2010 Blind Trust White ($25). This is a white blend built around Viognier; you have to peel back the capsule to find out exactly what is in here. The wine is crisp, with flavours of grapefruit and apple and with a lingering finish. 90. Laughing Stock 2009 Chardonnay ($26). There was some debate at the tasting whether or not the wine carries too much oak. I don’t think so. The clean, toasty notes of the barrel provide the frame for flavours of citrus and butterscotch. The finish is very long. 90. Laughing Stock 2010 Viognier ($26). An appealing wine, it has flavours of pineapple, apricot and ripe apple, all built around a firm and crisp spine. 90. Laughing Stock 2008 Syrah ($34). This is a dark, brooding, earthy red with spicecake aromas and with flavours of plum and black cherry and pepper. 91. Laughing Stock 2009 Portfolio ($40). This is the winery’s flagship red; it will not be released until November. You were lucky if you ordered some at $35 a bottle during the recent futures offering. It is rich and satisfying, with flavours of plum, black currants, vanilla and liquorice. 92. Marichel Vineyard 2008 Syrah ($39.90). Muscular and juicy, this is a dark, gamey red with flavours of plum, hints of pepper and earth on the finish. 91. Marichel 2009 Syrah (barrel sample). This is another meaty red, with flavours of plum, liquorice and figs. The finished wine will match the quality of the 2008. Marichel 2009 ‘raison d’être’ Viognier ($15). That’s the name of the vineyard from which the grapes were purchased. The wine, light in texture, is crisp with citrus flavours. 87. Nichol Vineyard 2008 Pinot Noir ($26.90). The winery has released 565 cases of this Burgundian-style wine, which begins with strawberry aromas and has flavours of strawberry, cherry, mocha, with a touch of spice. 88. Nichol Vineyard 2008 Cabernet Franc ($26.90). This is what I call an honest glass of wine – because the aromas and the flavours are so satisfying: blueberry, cherry and black currant aromas and flavours, with some spice and dark chocolate on the finish. 90. Nichol Vineyard 2008 Syrah ($29.90). This vineyard was the first with Syrah in the Okanagan and it still makes one of the best. The aromas are complex and alluring: cherry, blackberries, white pepper, iodine. On the palate, there are meaty flavours of plum, blackberry, cherry with white pepper on the finish. Some 470 cases were produced. 91. Nichol Vineyard 2007 Cabernet Syrah ($28.90). The winery made 578 cases of this wine, a blend of 60% Cabernet Franc and 40% Syrah. This is another satisfying red, with spiced cherries in the aroma and with earthy flavours of plum, blackberry and dark chocolate. 90. Perseus Winery 2008 Invictus ($29.99). This is a blend built around Cabernet Sauvignon, with four other Bordeaux varietals, This elegant wine is full on the palate, with a sweet core of berry flavours: currants, blueberries, which a touch of spice on the finish. 90. Later this year, the winery will release the 2009 Invictus (91 points) which is more floral in aroma and more vibrant in its berry flavours. Perseus will be discussed in more detail in a future blog. Poplar Grove Winery 2009 Chardonnay ($22). A classic Chardonnay with flavours of citrus and nectarines subtly supported by oak. 88. Poplar Grove The Legacy 2006 ($50). A blend of Merlot, Cabernet Franc, Cabernet Sauvignon and Malbec, this elegantly sculptured icon spent two years in French oak and then another 18 months in the bottle before release. It begins with powerful aromas of black currants, blueberries and cedar. On the palate, there are flavours of currants, plums and blackberries. The silky tannins add to the elegance of texture but also to the wine’s ability to age. 92. Red Rooster 2009 Syrah Reserve ($29.99). This is a bit less intense than the other Syrahs from Bench wineries but is no less tasty, with black cherry flavours and with pepper and spice both on the nose and in the finish. 87. Serendipity Estate Winery Serenata 2008 ($39.90) is the winery’s first Bordeaux red, a blend dominated by Cabernet Sauvignon that spent 23 months in new French oak. It begins with aromas of vanilla, eucalyptus and red fruit. On the palate, there are flavours of currants, blackberries, chocolate, coffee and tobacco, with a core of sweet fruit nesting in long, ripe tannins. 90. Therapy Vineyards 2010 Pinot Gris ($19.99). Here is another crisp and refreshing white, with citrus aromas, flavours of pears, apples and citrus and, as the wine warms, peach. 88. Therapy 2010 Gewurztraminer ($17.99). This wine has delicate spice and rose petal aromas, with flavours of grapefruit and spice. The intensity of the fruit flavours are still developing as the wine settles down after bottling. 87. Therapy 2010 Alterego ($N.A.). Here is a complex new white blend: Pinot Gris (45%), Sauvignon Blanc (35%), Viognier (10%) and Chardonnay (10%). It is a delicious wine, rich on the palate with flavours of citrus and cantaloupe and a touch of butterscotch on the finish. 89-90. Township 7 2009 Un-oaked Chardonnay ($17.99). This is an example of the fruit-forward Chardonnays that have been in vogue for a few years in a reaction to over-oaked (real or imagined) Chardonnay. This is a pleasant apéritif with flavours of tangerine and peaches. 87. Township 7 2009 Chardonnay ($19.99). This winery has a foot in both camps. This is a barrel-fermented Chardonnay that was also aged in oak for 10 months. The oak is quite subtle so that the wine displays its fruit flavours – peach, citrus, ripe cantaloupe. 88. Township 7 2007 Reserve 7 ($34.99). This is a blend of Cabernet Sauvignon (55%), Merlot (40%) and Cabernet Franc (5%). It begins with a touch of mint on the aroma. On the palate, there are flavours of vanilla, black currant and chocolate. The texture features silky tannins. This wine benefits from decanting, both to open the flavours and to leave behind the modest sediment the wine – presumably unfiltered – is throwing. 88. Van Westen Vineyards 2009 Viognier ($24.90). Here is a great expression of the variety’s tropical personality, with flavours of pineapple, guava and apple. 90. Van Westen Vivacious 2009 ($18.90). Primarily Pinot Blanc with some Pinot Gris in the blend, this is a crisp and, yes, vivacious white with aromas and flavours of apples and a backbone of minerality. 88. Van Westen Vivre la Vie 2007 ($27.90). This big, ripe wine has 14.9% alcohol but so much fruit and chewy texture that there is no heat on the finish. The wine, which is 100% Merlot, begins with abundant red berries on the nose. Its layered flavours include currants, blackberries and plums with hints of chocolate and vanilla on the finish. 90. Van Westen Voluptuous 2007 ($29.90). This red is a blend of 67% Merlot, 33% Cabernet Franc. It begins with an alluring aroma of black currants and lingonberries which is picked up in the flavours. 90. The objective is raising the profile of this exciting wine region. It extends from the U.S. border to McIntyre Bluff, north of Oliver. The membership includes all by five of the 26 wineries current operating in the area. * New wineries, two of which are close to the big Jackson-Triggs winery. Hidden Chapel Winery and River Stone Estate Winery are days away from opening their tasting rooms. Adega on 45th Winery (not yet a member) expects to open its tasting room by summer. Intersection Winery (also not yet a member) looks like it might have wine available by the fall. Hidden Chapel, beside the highway north of Oliver, is operated by Lanny Kinrade with his wife, Deborah Wilde, and his brother Terry. The winery itself is based on a 3 ½ acre vineyard planted exclusively with Cabernet Sauvignon. From this and from purchased fruit, the winery is launching primarily with big reds. River Stone is located beside Tuc-Ul-Nuit Road northeast of Oliver. The business card identifies Ted Kane as the owner and Lorraine, his wife and a busy doctor, as a consumer. The winery is launching with three solid wines: a Pinot Gris, a Malbec rosé and a Cabernet Franc. Adega on 45th, still under construction, is a handsome winery with a bell tower, set in a vineyard not far from Nk’Mip Winery at Osoyoos. The owners are Fred Farinha and his brother-in-law, Alex Nunes. They are long-time tree fruit growers who replaced their trees several years ago with about 30 acres of grapes. They bring a Portuguese heritage and love of wine to this project. Intersection Winery is the new name that Bruce Schmidt has given to his Parallel 49 Vineyards, which is at Highway 97 and #8 Road south of Oliver. * Two wineries have changed names this spring. Golden Beaver Winery has become Castoro de Oro Winery (castor is Latin for beaver). The object is to get around the reluctance of sommeliers to put the Golden Beaver label on wine lists. Twisted Tree Winery has become Moon Curser Vineyards in a rebranding managed by Bernie Hadley-Beauregard (of Blasted Church and Dirty Laundry fame). Chris and Beata Tolley, the winery’s owners, wanted to eliminate the lingering confusion between their winery name and Oliver Twist Winery or Tangled Vines Winery. As always, Bernie has designed provocative labels. * Two wineries are opening restaurants. Tinhorn Creek Estate Winery’s new Miradoro Restaurant (above), opened in partnership with Manuel Ferreira of Vancouver’s Le Gavroche, is getting rave reviews for both its food and the views from this elegant building high above the valley. In a few weeks, Hester Creek will open its Terrafina Restaurant in the building that formerly served as its tasting room. The guiding culinary mind here is Jeremy Luypen, the executive chef for the highly-rated Passa Tempo Restaurant in Osoyoos. Oliver Osoyoos Wine Country’s Banée was the eighth in what is primarily an industry celebration to mark the start of a new season. The idea comes from an old French tradition where winery owners came together after pruning was done to unwind over dinner with their best wines. The Oliver Osoyoos Banée’s timing allowed most wineries rolled out the new whites from 2010 and reds from the two previous years. The 2010 vintage was a challenging one, with a late spring, a cool summer, a rainy September and then a long, dry autumn. The white wines from that vintage are proving to be packed with flavour, finishing crisply with vibrant but balanced acidity. The two previous years had their issues as well but, for the most part, the reds are very good. Here are some random notes on excellent wines I tasted during Banée. Burrowing Owl 2008 Meritage. This is an elegant blend of Bordeaux varietals with classic aromas and flavours of black currants, blackberries and cedar and with long ripe tannins. 91. Cassini Cellars 2010 Sauvignon Blanc. This is a crisp varietal reminiscent of Sancerre, with herbal aromas and citrus flavours. 88. Castoro do Oro Heart of Gold 2010. This is a creative blend of Viognier, Auxerrois and Pinot Blanc, with flavours of melons and apricots and with a crisp finish. 88. Church & State Tre Bella 2010. This is a blend of Marsanne, Roussanne and Viognier. The wine begins with herbal and floral aromas. On the palate, there is a touch of honey along with citrus. The texture is rich and satisfying and the finish is dry and lingering. 90. Desert Hills 2010 Gewürztraminer. This white absolutely slaps you in the face with its vivid spicy aromas and mouth-filling flavours of grapefruit and lime. This delicious wine has a long, dry, spicy finish. 90. Dunham & Froese Amicitia White 2009. This is an elegant and complex blend of Sauvignon Blanc, Sémillon and Viognier. Rich and full on the palate, it has tropical fruit aromas and flavours of melon and guava. 90. Gehringer Brothers 2010 Pinot Gris Private Reserve. This delicious wine is juicy on the palate with flavours of citrus and pear. The finish is refreshingly crisp. 90. With this vintage, Gehringer Brothers has switched top screw caps and has launched a new label that is crisp, clean and classy. Jackson-Triggs, take note. Hester Creek 2009 Character Red. This wine, along with Character White, is a new blend. This is Merlot, Syrah, Malbec and Petit Verdot. It has satisfying flavours of chocolate, tobacco, cherry and plum. The ripe tannins mean the wine is already approachable but also that it can be cellared a few years. 90. Hidden Chapel Winery Trilogy 2009. This is a blend of Cabernet Sauvignon (55%), Merlot (35%) and Cabernet Franc (10%). There are flavours of plum, black currants and cherry; and the texture shows excellent concentration and length. 90. Inniskillin Okanagan Discovery Series 2008 Sangiovese. Here is a concentrated Tuscan red with earthy flavours of plum and red berries. 90. Jackson-Triggs 2010 Sauvignon Blanc Black Series. The name here refers to a series of astonishingly bland new labels that Jackson-Triggs is rolling out. The wines are way better than the labels. This is zesty and refreshing with grapefruit and lime aromas and flavours and vibrant acidity. 88. Moon Curser Vineyards 2009 Border Vines. This is the new name for what the winery used to call Six Vines – because it includes all six Bordeaux varietals. It is a bold red, beginning with aromas of blueberries and cassis and with generous fruity flavours. The finish has a hint of spice and pepper. 92. Nk’Mip Cellars 2010 Riesling. This was a tank sample of a wine due to be released in the fall. By then its attractive lime flavours will be accompanied by a good varietal aroma and perhaps even a touch of petrol. The finish is crisply dry. 90. Oliver Twist 2010 Oliver’s Choice. This is a tasty Kerner, with a touch of residual sweetness to lift the grapefruit, lime and peach flavours. The balance is so exquisite that the long finish seems dry. 89. Quinta Ferreira Viognier 2009. This is a restrained white, with notes of pineapple and apricot and with a rich palate. 89. River Stone 2010 Malbec Rosé. Here is a remarkable rosé, intense in colour and aroma, with flavours of strawberry and red plum. 90. Road 13 Chenin Blanc 2010. Winemaker J-M Bouchard calls this wine the “star” of Road 13’s wines from that vintage. It is indeed terrific, with lime and apple flavours and with a good backbone of minerals and acidity. 91. Silver Sage 2010 Gewürztraminer. This wine begins with a delicate rose petal aroma. It is delicately light on the palate, tasting of candy and spice. 88. Stoneboat Vineyards 2010 Pinot Gris. Here is a fruit bomb beginning with an aromatic nose and showing layers of pear and citrus and peach. The finish is refreshing and crisp. 91. Tinhorn Creek 2010 Pinot Gris. This winery has an excellent track record with Pinot Gris and this wine – aromas of citrus and pineapple and flavours of citrus and pears – does not disappoint. 90. The four owners of 3 Mile Estate Winery, scheduled to open June 15, 2011, researched winery names for a year. They even considered Pigeon Hill Winery before decided to keep it simple. After all, 3 Mile Road branches off Naramata Road just north of their winery. But Pigeon Hill? It is the name of one of the vineyards here. Jake Gunther, one of the partners, is also a pigeon farmer. The several long, narrow buildings on the property – one not far from the winery – house about 3,000 pairs of birds, producing squab for sale to restaurants and consumers in Vancouver. Before moving to the Okanagan several years ago, Jake was one of the largest pigeon farmers in Abbotsford in the Fraser Valley. And that was just a sideline for Jake, a Winnipeg native who grew up in the Fraser Valley and who also was in commercial door manufacturing for about 30 years. Colleen, his wife and now the winery’s cellar manager, also comes from a career outside wine. A native of Crowsnest Pass, Alberta, she operated a successful spa in Abbotsford with as many as 37 employees. Before that, she worked in Penticton’s Lakeside Hotel when it opened; and that familiarity with the Okanagan drew the Gunthers back there again in 2004. Initially, they bought acreage on Naramata Road just with the intention of building a house. Sadly, two deaths in Colleen’s family caused them to set that plan aside temporarily. Then they were able to buy an adjoining property with a house – and a producing vineyard. A chance encounter with the owner led to the purchase of a third contiguous property. In total, they now own 14 acres, nine of it planted to vines, including Gewürztraminer, Pinot Gris, Viognier, Merlot, Cabernet Franc, Cabernet Sauvignon, Syrah, Pinot Noir and Gamay. “We would never have bought an operating winery,” Colleen says. “We had to learn to walk before doing a winery. We have been busy just learning viticulture and we have gotten quite good at that.” Jake has developed such an enthusiasm for pruning his vines that he hates to stop at the end of the day when it gets dark. For a few years, they sold grapes to Hillside Estate Winery, located nearby on the other side of Naramata Road. The decision to develop the winery was accelerated by a year when Hillside decided it did not need their grapes in 2010. The Gunthers enlisted Gail and Darryl Rahn as partners. She is Colleen’s sister and he is a BC Hydro manager. While dealing with Hillside, they came to know Kelly Symonds, who was then the winemaker there. When she left to join a Vancouver winery two years ago, the Gunthers asked if she would consider making their wine, should they decide to open a winery. “I said to my partners we really need that professional help right now, until we get our feet wet” Colleen says. Kelly agreed, helping make almost 1,200 cases of wine in 2010 and teaching Colleen how to manage the cellar and its laboratory when the winemaker is not around. The business plan calls for limiting production to 2,500- 2,800 cases a year. “We want to produce ultra premium wines and not get very large so we can baby the wine” Colleen says. The winery will launch a fragrant and dry Gewürztraminer, a complex barrel-fermented Pinot Gris and a Viognier dessert wine. When a red wine is available, it will be a blend of the Bordeaux varietals and Syrah. The plan is to call it Trilogy Plus. The Pinot Noir and Gamay vines were not yet fully in production last fall. Judy Kingston was a bit emotional this spring when introducing sommeliers and winery visitors to the first wines released by her Serendipity Estate Winery. Second, four years of farming grapes – another thing she had never done before - has forged a passionate relationship with her vines. The winery is just opening on Debeck Road, next to Therapy Vineyards and a short drive off Naramata Road. The debut wines are a 2007 Pinot Noir, a 2008 Bordeaux blend and a pair of 2010 whites – Viognier and Sauvignon Blanc. Later in the summer, Judy expects to release a Cabernet Franc, a Merlot and a Syrah, all from the 2009 vintage. With wine shop hours still be determined, it might be wise to call for an appointment. Count on a warm welcome and plenty of passion about the wines. Wine was not her original passion. “I was going through school as a mathematician,” she remembers. “That was my dream in life.” At the University of Western Ontario, she did a double major: mathematics and computer science. She had to do a thesis to graduate and, on the advice of her thesis advisor, did a paper on computer law, then a new area in American law and an undeveloped field in Canada. In turn, that took her to law school with a determination to carve out a career in this new field. “I chatted to different lawyers in Toronto,” she recalls. “They said you don’t get new areas of developing law; female lawyers go into family law and estate law – try that.” Eventually, about 1975, one large firm invited her to article and she became one of the first, if not the first, computer lawyer in Canada. Judy’s impulsive 2006 purchase of a Naramata orchard, soon to become a vineyard, came after a car accident and a decision to switch lifestyles. After moving to the Okanagan late that year, she enrolled in Okanagan College’s viticulture course to gain the skills needed as a grape grower. Later, to add winemaking knowledge, she did a crush at a New Zealand winery. After the apple trees were pulled out, the property was contoured to eliminate frost pockets and to create good south and west-facing slopes. It was planted in 2007 with Merlot, Syrah, Cabernet Franc, Malbec, Viognier and Sauvignon Blanc. This year, two acres of Pinot Noir will bring the vineyard to almost 10 ½ acres. She shares the winemaking with Jason Parkes who also has had colourful careers, first as a construction explosives technician and then as rock musician with a critically acclaimed punk band called Glasshead. When the revenues from music slowed down in 2003, he also took a job in the vineyard at Hainle Vineyards. Circumstances propelled him into winemaking there and then at Adora Winery, the custom crush facility where Serendipity’s wines were made before Serendipity built its own cellar. Serenata 2008 ($39.90) is the winery’s first Bordeaux red, a blend dominated by Cabernet Sauvignon that spent 23 months in new French oak. It begins with aromas of vanilla, eucalyptus and red fruit. On the palate, there are flavours of currants, blackberries, chocolate, coffee and tobacco, with a core of sweet fruit nesting in long, ripe tannins. 90. Pinot Noir 2007 ($39.90) spent three years aging in older barrels before being bottled. The style might be called old world, with slightly porty flavours of fig and black olive as well as spicy cherry and plum. The barrel-aging has given wine a polished texture. 88. The Sauvignon Blanc, said to be done in the New Zealand style, and the Viognier were not available for tasting when I visited the winery last month. Visitors to the Ruby Tuesday Winery on Naramata Road this year will notice two differences this year. First of all, the name is changing to Ruby Blues Winery. It is an almost imperceptible change since only one word changes on the “flying shoes” label. This is how small the change is: recently, a crew spent the day at the winery to bottle the new releases. At the end of the day, winery owner Prudence Maher asked the person who was checking the labels for correct application to the bottles what she thought of the new labels. “What new labels?” the individual asked. When the winery opened in 2009, its original name was drawn from a 1966 Rolling Stones song, Goodbye Ruby Tuesday. It was one of the songs that Prudence recalled from her adolescence (she was born in 1953). The irony is that Prudence is going to miss the name. A year ago, her small winery was sued by Ruby Tuesday Inc., the giant American restaurant chain with about 900 locations – only one of which is in Canada (Niagara Falls). She makes wine, they serve wine and they thought it a conflict. The new name still has an allusion to music, this time to a song by The Beatles. “Rather that fighting for years and spending thousands of dollars on a negative subject, we decided to move on and do what we always said: Catch your dreams before they slip away,” Prudence says. The second change in the tasting room is that the winery will also be selling shoes. It all came about because the model for the shoes on the wine labels here was a pair of winged shoes that Prudence had found several years ago. She left one with the label artist and has the other in the winery tasting room. Of course, visitors would ask about the shoe and Prudence would joke that shoes would soon join wines in the shop. That might have remained a joke. However, a friend has a Vietnamese wife who had visitors from Vietnam last year. “They had the fanciest shoes on,” Prudence recalls. In no time, she had designed her own fancy shoes and ordered 170 pairs of ladies shoes from a cobbler in Vietnam. There are two styles; one sells for $95 a pair and the other for $75. The brand is Dear Prudence. And she means it. She and Beat, her husband, initially opened the Red Rooster Winery, expanding from a tiny winery on a side road to a showpiece on Naramata Road. After they sold it in 2005 to Andrew Peller Ltd., Prudence found how deeply she missed running a tasting room and kibitzing with visitors. That is why she launched what is now Ruby Blues. Perhaps the last place you would expect to find a portrait of Christoph Willibald Gluck, the 18th Century German opera composer, is on a bottle of Spanish wine. Yet there it is on Faustino V Reserva 2005, a specialty listed wine in British Columbia and selling for $25. Gluck is also on the labels of several other Faustino wines. Gluck has company. A portrait of Rembrandt, the Dutch painter, graces the labels of Faustino I Gran Reserva 1999 ($38 in the Liquor Distribution Branch’s speciality store) as well as labels of other of Faustino’s reserve wines. Apparently, no one at Grupo Faustino, Spain’s largest family-owned wine group, remembers why these portraits were chosen when the 150-year-old winery began bottling Rioja wines under its own labels in 1931. Those distinctive labels are memorable to fans of Spanish wine, even if they seem a little dated among compared with contemporary labels. At the recent Vancouver Playhouse International Wine Festival, Grupo Faustino was unique among the Spanish wineries in having two tables, side by side. One table featured its traditional Rioja wines and labels. The next door table featured the more contemporary wines (and labels) from the wineries that the group has elsewhere in Spain. Although there were about 35 other Spanish wineries at the show this year, fifteen minutes at these two tables was an excellent introduction to the roots of Spanish winemaking as well as to the innovative winemaking now going on. Later on, I pulled aside Alvaro del Santo y Mora, the winery’s export manager, for a conversation about the group and its wines. “We have adapted to the new trends [in the wine market] without forgetting our winemaking traditions,” he said. Bodegas Faustino, the group’s best known Rioja winery, produces the traditional Gran Riserva and Riserva reds that one identifies with Rioja. These wines are made primarily with the Tempranillo grape, are aged as much as 30 months in oak and then in bottle before release. These are long-lived reds. The winery’s current offerings include a Faustino I Gran Reserva from 1964. The Faustino I Gran Reserva 1999 was the oldest wine among those shown at the festival. Somehow, the Rembrandt on the label seems just right. Like an Old Master Painting, this richly flavoured wine – plums, figs, black olives, vanilla – comes in a frame created by the beneficial effects of bottle aging. 91. The Faustino V Reserva 2005 is also a satisfying traditional Rioja – a wine with the polished texture of ripe tannins and oak aging. On the palate, there are flavours of plum, vanilla and chocolate. 90. The family probably has been making wines in this style almost since the winery was established in 1861. That was during a golden age of Rioja when vineyards and wineries were being opened to compensate for the collapse of French wine production during the phyloxera epidemic. Of course, Rioja wine production goes back to Roman days, stalling during the Islamic conquest of Spain and then reviving after the region was reconquered in the late 15th Century by the Christians. The Spanish ships sailing to the New World were all provisioned with wine, no doubt including reds from Rioja. Since some of the earliest European explorers of the British Columbia coast were Spanish, it is just possible that Rioja was the first wine consumed here. Today, Grupo Faustino considers itself the largest vineyard owner in Spain, with a total of 2,100 hectares including 850 hectares in Rioja. “They were farmers first,” Alvaro del Santo says of the family. “That’s the key point.” These vineyards include many 50 to 100-year-old vines, always an advantage when growing premium wine. Those extensive land holdings now support seven wineries, four in the Rioja and three in other Spanish appellations. Innovation, as opposed to traditional winemaking, marks most of the newer properties. Bodegas Campillo, one of the Rioja wineries, operates from a 1980s winery designed to resemble a French chateau. While traditional Rioja is generally aged in American oak, many of the Campillo reds are aged in French oak or in a combination of French and American. Marqués de Vitoria was the original Faustino winery in Rioja. Recently, it has moved into the production of organic wines. One of the reds, an excellent unoaked Tempranillo under the “Ecco” brand, is listed in British Columbia. Ecco Organic 2009 ($14.99) is a juicy red bursting with flavours of cherries and plums. This combination of price and quality makes the wine a candidate for summer barbecue drinking. 88. If Spanish wine, which has been selling well already in British Columbia, gets an added lift from the Playhouse Wine Festival, you can expect Alvaro del Santo to introduce additional wines from the group, if only because wine consumption in Spain declined with the recent crash of the Spanish economy. Grupo Faustino used to sell between 60% and 70% of its wines in the domestic market. Today, 60% of its wines are being exported. One of the group’s brands that should be made available here is Bodegas Portia, a spectacular new winery that the group opened last fall in Ribera del Duero. Grupo Faustino spent an astonishing 38 million Euro to build a striking winery designed by British architect Norman Foster. It is a three-storey, star-shaped building, designed to that the grapes are delivered to the top floor and gravity looks after moving them from press to fermentation to barrel. There is so much modern winemaking technology here that groups taking the 90-minute tour are not allowed to take interior photographs. Portia Primo 2007 ($32 if listed here) is 100% Tempranillo, a dark, full-bodied red with flavours of black currants and blueberries set against subtle French oak notes. 90 points. This was one of the red wines served last fall at the Nobel Prize awards dinner. A very good example of modern Spanish winemaking, it deserves to available in our markets.